Opened in October 2016, Bukit Pandawa Golf & Country Club is the latest addition to Bali’s growing collection of world-class golf courses. 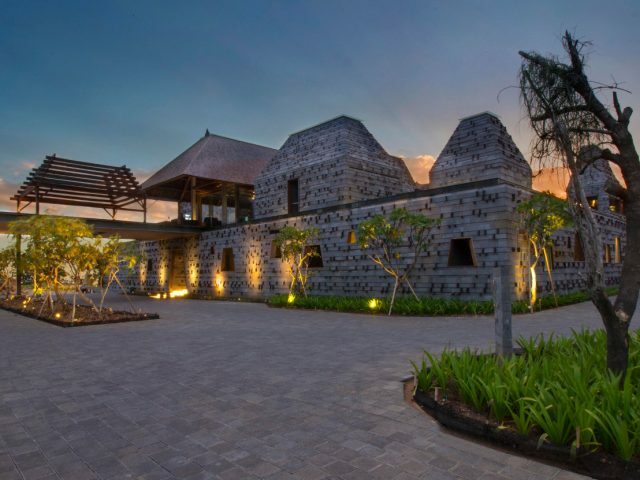 Situated on a limestone cliff-top overlooking the world-famous surf breaks of Bukit Peninsula, the singular venue offers 18 championship caliber par-3 golf holes, many of which are back-dropped by rustic architectural relics and spectacular views of the Indian Ocean, with a clubhouse inspired by the many grand temples Bali is renowned for. 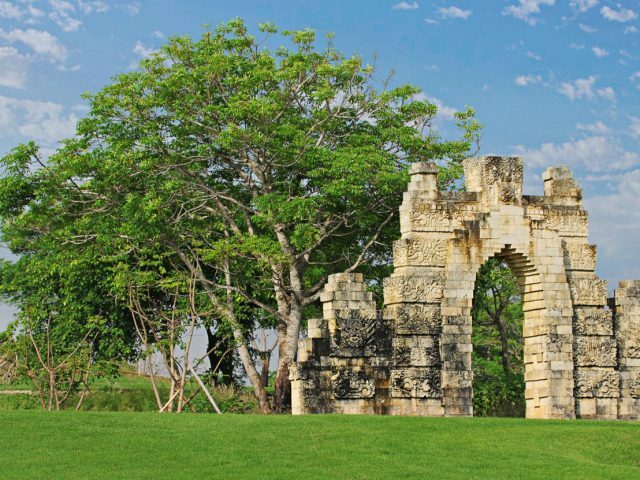 Conceived by Bob Moore of California-based JMP Golf Design Group, the novel layout mesmerizes with ocean views from almost every hole, a clutch of architectural ruins that personify the Island of the Gods’ rich history and wall-to-wall Pure Dynasty, a seashore paspalum grass that makes for the purest of playing surfaces. With 18 championship-caliber par-3 holes that weave through spectacular rock outcroppings that define the limestone clifftops of Bali’s dramatic southern tip, Bukit Pandawa Golf & Country offers one of the most singular golf experiences not only in Indonesia but anywhere in the world. 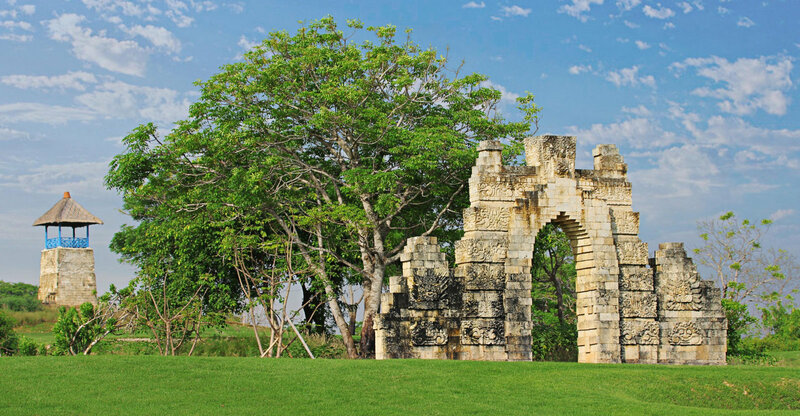 While Bukit Pandawa Golf & Country Club will get any golfer’s attention straight away — panoramic views of the Indian Ocean from the opening tee box will do that — it was designed to up the ante with each passing hole. The 148-yard 13th, is framed by three bunkers and features curved stone walls in the foreground and a traditional Balinese kul-kul tower in the background; and the home hole. 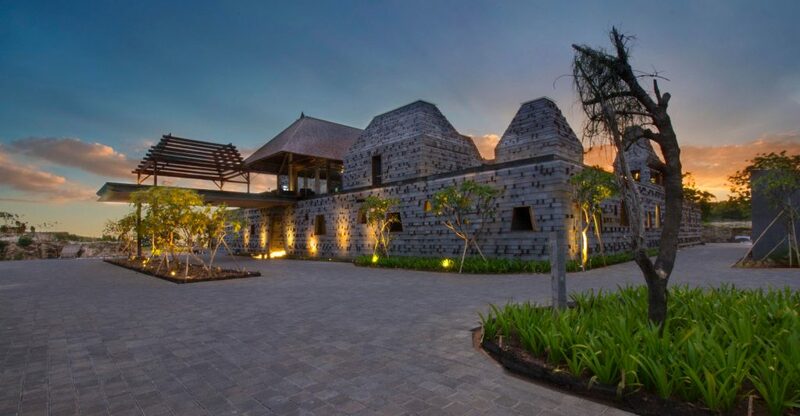 Other features of AccorHotels’ flagship course in Asia include lakes, waterfalls and terraced rice paddies, all of which help shape and frame the jaw-dropping closing hole, a challenging downhiller made all the more memorable by its incomparable backdrop: a magnificent clubhouse inspired by the iconic temples and towers of Bali. 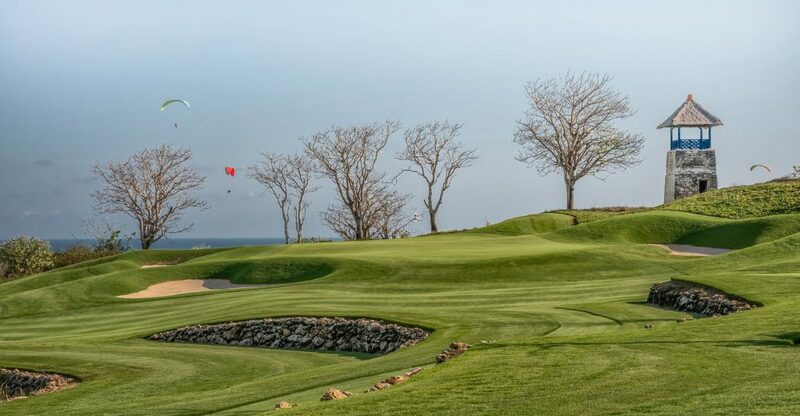 While half of the Clubhouse houses the pro shop and restaurant/cafe – whose upstairs perch offers spectacular views of the ocean and course – the other half is a labyrinth of impressive and substantive spaces within both locker rooms. 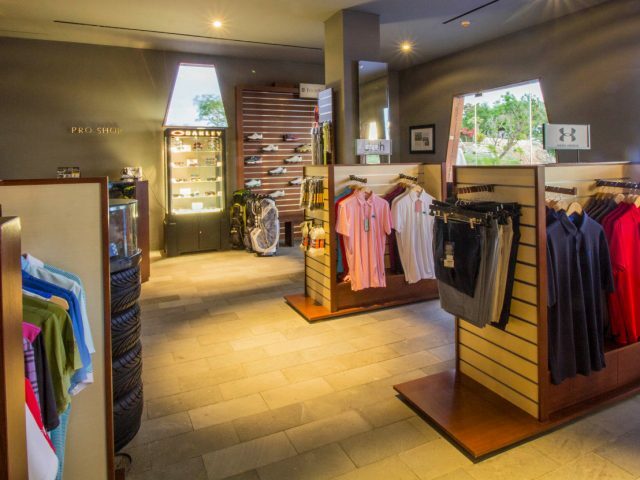 Our bright and modern shop offers a wide range of world class golf clubs, equipment, accessories, apparel, as well as shoes at reasonable price. 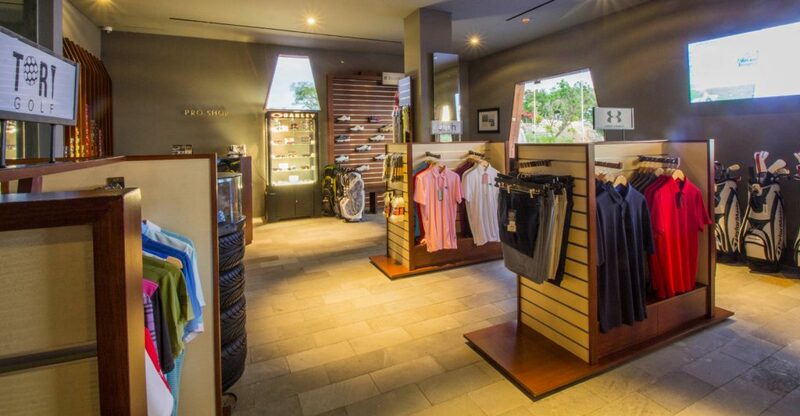 For the love of golf, a visit to our shop is a must!  Play Golf Bali’s mission is to introduce the delights of golfing in Bali to the world. We welcome golfers from around the globe to the island of Bali, and have arranged packages to give you great golfing experiences here. 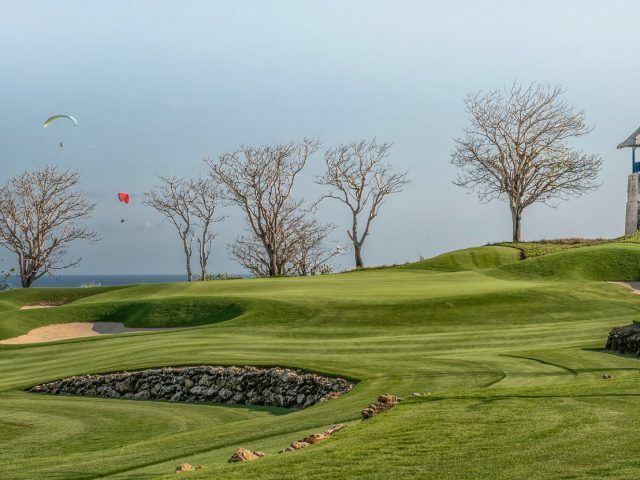 Play Golf Bali is made up of five golf clubs – Bali National Golf Club, Bukit Pandawa Golf & Country Club, Handara Golf & Resort Bali and New Kuta Golf Club. Contact us for reservations, event details, accommodation options & booking information. Copyright 2019 Play Golf Bali.